With the latest technological developments and inventions, video production has been at its best. Videos, slides and testimonials can be used to improve one’s business. Videos are engaging and will capture a wide variety of customers for the business’ product. Customers can record their views and opinions on the products. Such testimonials play a great role in marketing the business’ produce. People will respond quickly from a fellow consumer’s testimony on a product. They are thus more believable than photographs or information printed on the package of the product/service. Videos are memorable; they linger in people’s memories, long after they have watched the video. Presentations can be done in the form of video clips. Employees can save time spent typing lengthy reports by preparing PowerPoint presentations, accompanied by video slides. This way, they are easily understood and remembered. Data is also easily deducted when presented in video form, as compared to when presented via hundreds of pages. By saving time, employees will have more time to work on other projects and improve products and sales. Research findings can also be presented via videos recordings during the actual fieldwork. Often, interpreting data and converting it into written form might result in the loss of valuable information. By videos presentation, the loss of data during translation might be prevented. Videos help an organization in training and recruiting new employees by showing videos on how current employees effectively carry out their daily duties. They can document weeks or even months of their employees working on projects for this purpose. Also, instead of being physically present, a trainer might record the recruitment process and have it showed to the employees step by step. In the case of miss steps, they can rewind the video till they get it right. Videos on the various company’s products or services can also be useful in improving how employees work and also in the recruitment of new ones. Videos help sell products by explaining to potential customers how the products works and how they are produced. This gives the consumers a better understanding of what they are, and how to use them. This is better than plain photographs since the customers can see the products in action. Videos are also used in brand promotion. By showcasing video clips for the product on the internet, the business advertises and creates recognition for that brand. They can also include instructions on how to use and maintain their brand/product. 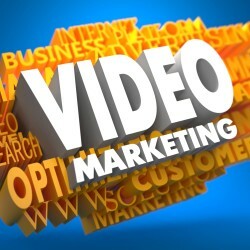 These videos will increase sales hence help in improving the business. When a large number of people are aware of a particular product/service, there is a higher chance for more new customers, at the same time, help in maintaining old clients. It is thus evident that video production can be used to help in the improvement of any business, as well as its smooth running.